On Friday I presented all of you with four images of a New York eating establishment dear to my heart. I am happy to report that there was a winner. He/she chose to remain anonymous but correctly identified this place. 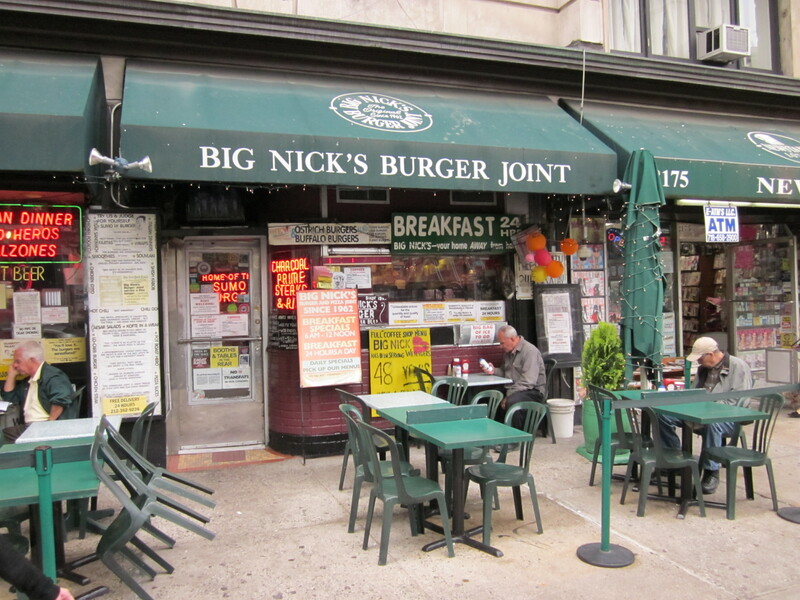 Big Nick’s 27-page crowd-pleasing menu includes the famous “Sumo” burger, “Hawaiian,” burger and “Madrid” burger, featuring feta, olives, pimento and with or without buffalo meat. The choices can be overwhelming at Big Nick’s, but to relieve any menu-stress you can always watch the continuous loop of Three Stooges shorts that plays on the restaurant’s ancient television. 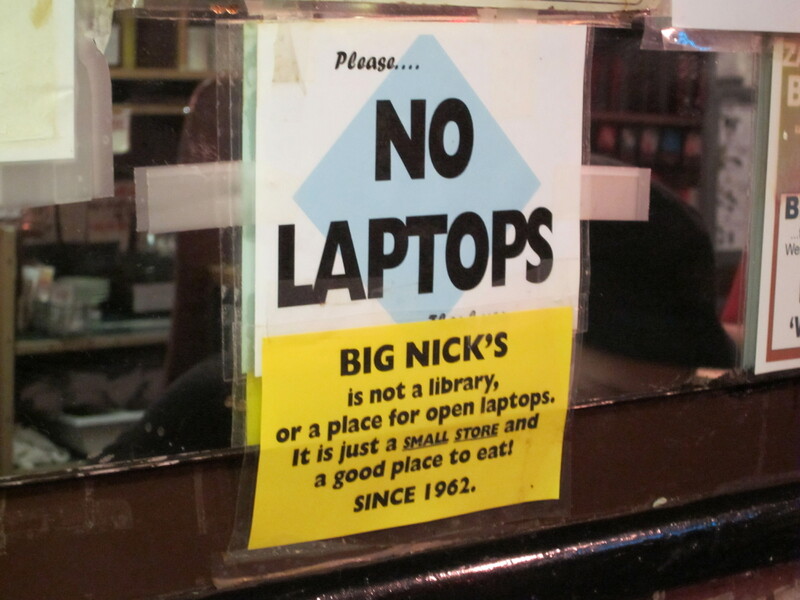 And always remember that even though Big Nick Loves You, don’t you dare open that laptop. NO cellphones, no unruly kids/infants, no uncivilized, loud and discourteous adults, no smoking, no soliciting, no politicizing, no sickly, sneezing/coughing, germ spreading, morons, and NO patrons who have an aversion to soap/water and deodorant….. Now that we have probably eliminated half the clientele, BON APPETIT !